Pool Villas Premium Location & Quality. Superb 5 Bedroom, luxury 2 storey pool villa with sea views. This villa is fairly new and features many upgrades. The best community townhouse in Hua Hin. This unit is in a good building, just next from Cha Am beach. It is a simple unit, but priced well. 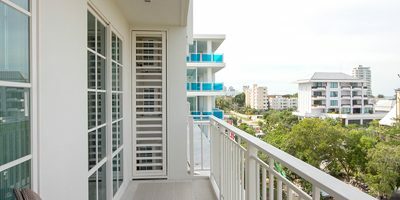 The luxury condominium, the Sea Ridge condominiums surrounded by nature in a beautiful hillside . The unit is 113 sq. Freehold Condominium unit (99 sqm) with the permission to run as Restaurant . The luxury penthouse, the Sea Ridge condominiums surrounded by nature in a beautiful hillside . This private bungalow is situated in Soi 112 only a few kilometers to the Market Village. This stylish Bali design villa is located about 4 kilometers south of town in the green hills of Hua Hin. Beautiful Thai-Bali Style Villa with a large garden located just south of Hua Hin. Located conveniently less than 10 minutes from the center of Hua Hin on the popular Greenscape project. This fantastic property is located on a complete estate within 7 minutes of the centre of Hua Hin. This exceptional property embodies all characteristics that one looks for in a private home. Luxury Balinese Villa in Palm Hills Golf Course. A beautiful and luxurious home, situated in an exclusive estate only 6 kilometers from Hua Hin city centre. This stunning two storey house is located about 5 minutes drive from Hua Hin town in an extremely popular, small development. Setting the standard for pure opulence in Samroiyod, this wonderful villa has been designed and built to impress. Setting the standard for pure opulence in Hua Hin, this wonderful villa has been designed and built to impress. Stylishly planned tropical homes from a reputable, distinguished and experienced developer. Situated on a well landscaped 400 square metre block. Royal Mountain Villas are designed for luxurious living in the tropical and magnificent climate of Thailand. • Thirty year land lease with two 30 year options. The Luxurious on Sang Arun beach front modern house with a wonderful view restaurant at Tabsakea district for sale. The house is in the Smart House Village 1 next the clubhouse . This fantastic property is located in a private land near by Samorphrong school where is the local Thai village surrounding. This beautiful Bali style house is set on a good plot, with beautiful small gardens and private swimming pool. 150 meters to a most beautiful white sand beach! A unique, perfect and comfortable recreational beach resort and golf club. 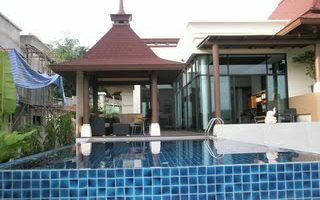 This condo is located 15km south of Hua Hin. Red Mountain residences offer modern, luxurious tropical villas affording cutting edge design and functionality. One of the most beautiful condo by the most famous developer company in Thailand. "Autumn Huahin"
The house in a secure area which is located close to the town center and its amenities. The Luxury house is boasting 4 generous bedrooms, 3 bathrooms, fully equipped European exclusive kitchen & dining room, Some furnished with exquisite choice of materials. The townhouse is located near by the Phetkasem rd where is very central of Huahin. The condominium is positioned by the beach, 10 minutes outside of the main town. 2 Bedrooms at Baan Suanrimsai for Sale. 2 Bedrooms, 2 Bathrooms. STUNNING CHA-AM SEA VIEW CONDO DIRECTLY ON THE BEACH. This Luxury low rise condominium is situated to the South of Hua Hin town, only 10 minutes drive away. Private house location Soi Hua Hin 70. Situated within easy reach of Hua Hin, far from town only 4 km. This lovely bungalow is located on the West of Hua Hin, with easy access to the main road area. This bungalow is located on the scenic “Khao Dang” mountain just 5 km west of Hua Hin town. 2 Bedroom 2 Bathroom Townhouses Fully Furnished on Smart House 3 Development. Fully furnished, kitchen and nicely refurbished to a good standard. This luxury condo is located is on the ground floor with jacuzzi. This condominium is a direct beach front condominium. This is a town house located in Cha Am near beach. This spacious 2-bedroom foreign freehold condo offers superb sea and sunset views over Hua Hin Beach. A commercial Building for Sale on the main road , HuaHin soi 26, opposite Index Living mall. Star Property are proud to offer this stunning condominium at the beautiful Boathouse, less than 10 minutes drive from the center of Hua Hin. The house has been fully updated and remodeled. New paint, Inside and Outside ! 3 bedrooms 3 bathrooms luxury villa with infinity pool and mature gardens situated on a nice plot. Condominium on the beach,condominium comprising 3 buildings. This unit has 3 Bedrooms, 3 Bathrooms. The unit is being sold fully furnished. 3 bed 2 bath luxury villa with infinity pool and mature gardens situated on a nice plot. The project is located in soi88 where it takes 5 mins to the Market Village. Bluroc HuaHin Condominium is a Modern Moroccan Style Vacation Condo beautifully designed with a stunning swimming pool and garden. This condominium is a direct beach front condominium. It is decorated to a high standard and is well presented. This condominium is in Hua Hin town. Uses house for daily rentals and earns between 70,000 Baht to 300,000 Baht per month. 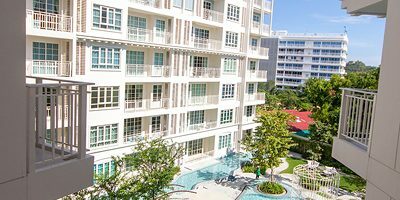 The beautiful condominium on the ground floor of popular building in Hua-Hin and close to all amenities, local bus route, restaurants, etc. THIS IS A REDUCED SALE FROM 8.5 MILLION BAHT TO 6.75 MILLION BAHT FINAL OFFER. MUST SELL! Living here is convenient, relaxing and comfortable. Holiday feeling everyday! The building is facing to the sea where is also near by Khao Takieb beach. A brand new condominium in Hua Hin downtown Hua Hin Market. A beautiful and luxurious home, situated in an exclusive estate only 10 kilometers from Hua Hin city centre. The unit is 100 sq.m With 2 bedrooms and 2 bathrooms, small kitchen with large balcony. We are pleased to be able to offer this truly beautiful villa for sale in Soi Hua Hin 94. We are pleased to be able to offer this truly beautiful villa for sale in Soi Hua Hin 112.